Descriptions To Die Foris very unique themes with photo frame design. Brown is main color for background but gold color on frame picture make it good for views and have professional design. 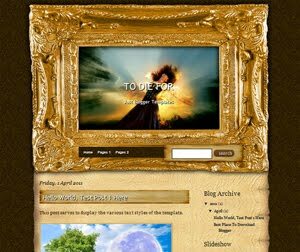 Search, classic background, and compatible on all browser make this blogger templates very good for personal blogs.